After eight years of being in charge of restaurant “12 Mesas” in Lisbon, Paul and Margarida decided it was time for a change. 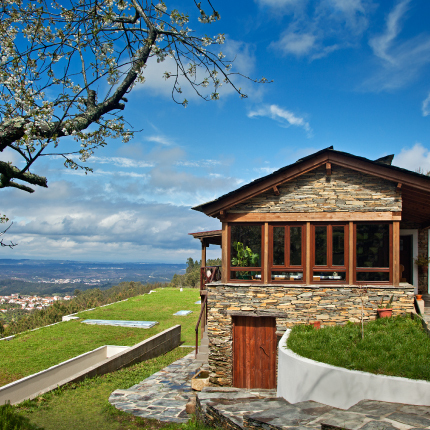 Combining their love for Nature, the small pleasures in life and the sudden urge to return to their roots, in 2011 they came up with the idea of creating a treasure located in the endless landscapes of Serra do Açor. Made out of love and dedication, “12 Meses”, located not far from the small village of Portela da Cerdeira, was born. © 12 Meses Naturalmente, Lda.